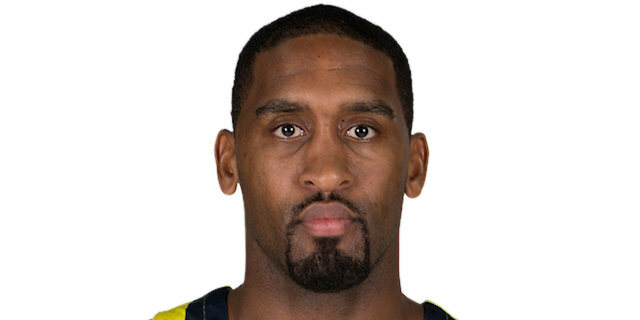 Reigning champions Fenerbahce Dogus Istanbul hold the longest current winning streak in the Turkish Airlines EuroLeague, at five games, and their playmaker Brad Wanamaker has once again been at the center of a big victory. This week, Wanamaker became the second player this season to win back-to-back MVP of the Round honors. 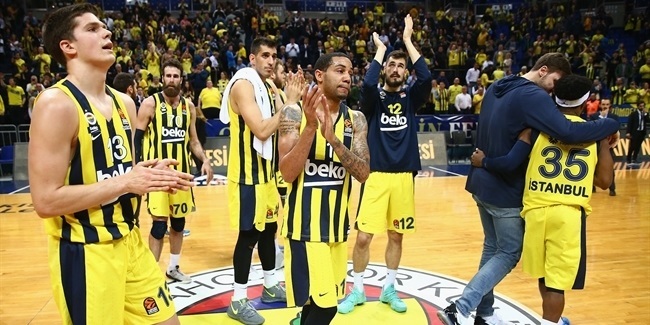 Wanamaker led Fenerbahce with 24 points to beat FC Barcelona Lassa 86-82 on Friday. He made 3 of 7 two-point shots, 3 of 4 triples and 9 of 9 free throws. Wanamaker also dished 7 assists and grabbed 5 rebounds for a performance index rating of 33, which is his season high and the second-best of his EuroLeague career. The second best PIR of this round belongs to Dylan Ennis of Crvena Zvezda mts Belgrade. 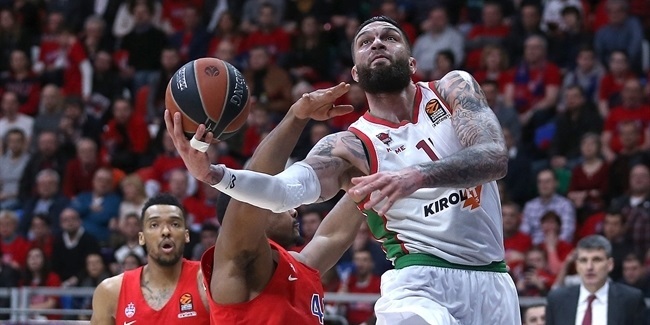 Appearing in just his eighth EuroLeague game, Ennis needed only 17 minutes to score 21 points to go with 8 rebounds, 5 assists and 1 steal, for an index rating of 31, more than double his previous high of 14. 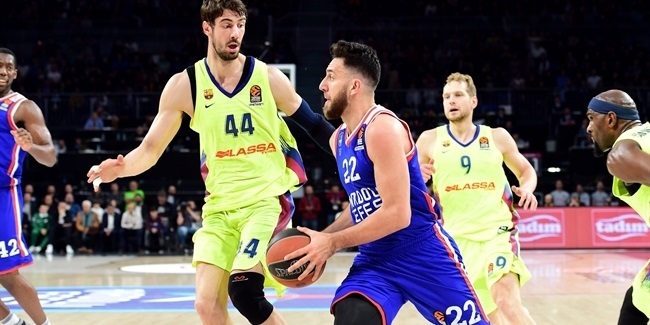 While Ennis is a new face in this company, CSKA Moscow's Nando De Colo is one of the usual suspects, and next on the list of Round 20's best performers. De Colo had 20 points, making 13 of 13 free throws, along with 4 assists, 2 rebounds and 2 steals for a PIR of 28. Rounding out this week's top performers are three players with index ratings of 27: Barcelona's Ante Tomic had 20 points, 7 rebounds and 2 assists in the loss to Fenerbahce; Norris Cole of Maccabi FOX Tel Aviv had 19 points, 6 assists and 3 steals in victory over AX Armani Exchange Olimpia Milan; while Milan big man Arturas Gudaitis collected 18 points, 5 rebounds and a steal in the same game. Wanamaker was the top scorer of Round 20 with 24 points. Alexey Shved continues as the runaway scoring leader this season with 22.1 per game. 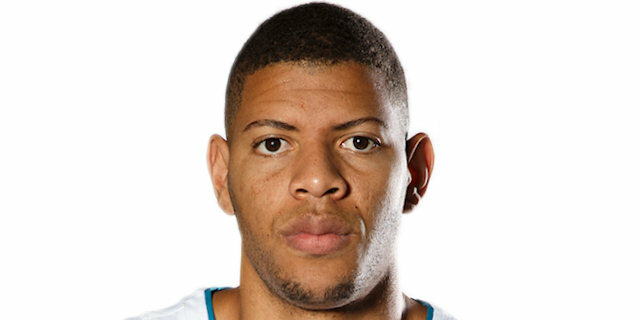 Real Madrid's Walter Tavares and Tibor Pleiss of Valencia Basket each pulled down 9 rebounds this round. Vladimir Stimac of Anadolu Efes Istanbul remains atop the rebounding leaderboard with 7 rebounds per contest. 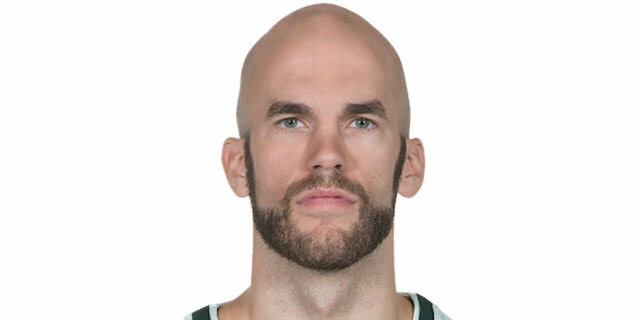 Nick Calathes of Panathinaikos Superfoods Athens dished 9 assists, the most of all players this week. Calathes extended his lead for the season in this category and is now averaging 8.4 assists. Four players had 3 steals: Jan Vesely of Fenerbahce, K.C. Rivers of Panathinaikos, Zoran Dragic of Efes and Maccabi's Norris Cole. Calathes leads this category for the season with 1.7 steals per game. Tavares led all players in Round 20 with a new season-high 4 blocked shots. Bryant Dunston of Efes is the EuroLeague's shot-blocking leader with 1.6 per game.